"I cannot tell you how professional and congenial and trustworthy these guys are. They are Corey, Eddie, David, Recardo, and..."
"The entire process from start to finish was handled well and in a very timely manner." "I will recommend your company to friends and family!" "Loved the cheerful attitude of the guys working here. All 3 were really great and did an excellent job." "Recently moved here and have had several installations of things, this by far was our best experience!!!" Recently moved here and have had several installations of things, this by far was our best experience!!! "Thanks again. Opie,Chris,Corey & Eddie were the definition of true professionals. Matt did anything/everything to make your..."
I am very pleased with the work that Eddie and Michael did for me today. They worked very hard and diligently on a hot day to remove the old insulation from underneath my mobile home. I so appreciate the job they tackled as some of the insulation was adhered to the underside. I had considered doing this job myself but it would have been way more than I could have handled! They were both courteous and professional. They did an awesome cleanup job too!!! Thank you Eddie and Michael! Eddie Galloway was born and raised in the Myrtle Beach, SC area. With his father owning his own construction business, Eddie grew up working various construction jobs, before opting to take a position in the restaurant world. 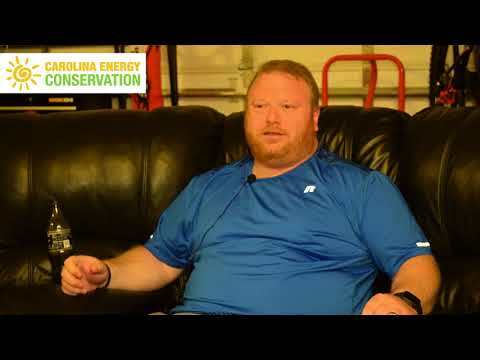 After 5 years in the restaurant world, Eddie realized his passion still lay in working construction and found a position here at Carolina Energy Conservation. Eddie takes great pride in his work and always ensures that the customer is 100% satisfied with his workmanship. He believes that utilizing solar energy and energy efficiency is becoming the future of the construction industry. 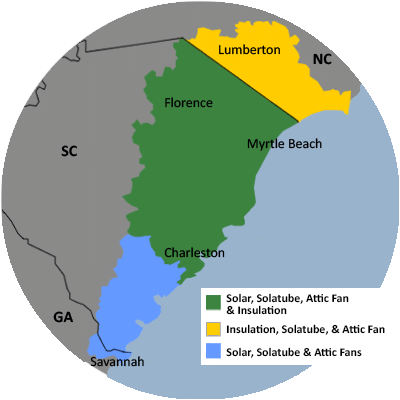 Over $40,000 in Solar Savings! Eddie Galloway is NABCEP Certified!